Should you ever have the opportunity to visit California’s Artesa Winery in Napa you certainly ought to. It’s been called “the Jewel of Carneros” by many, and with the winery’s panoramic hilltop views and the avant-garde visitor center—where Spanish architect Domingo Triay combines natural surroundings with contemporary design—it’s obvious how the 350-acre Artesa estate and winery got the nickname. The silent and audible flowing water and fountains of the estate, alone, are magnificent. There are Mediterranean themes represented throughout the winery and visitor’s center—not surprising, since Artesa is owned by the Raventós family of Spain, who have been involved in winemaking since 1551, when the Codorníu family began making wine in the PenedÃ¨s. In 1659, Anna de Codorníu inherited her family’s winery and renamed it Raventós upon marrying Miguel Raventós. Fast-forward to 1999, when the Codorníu Winery in Napa Valley—which produced sparkling wines—became Artesa, releasing Chardonnay, Pinot Noir and Sauvignon Blanc. By 2002, Artesa’s 1999 Napa Valley Cabernet Sauvignon would be named among the top 30 wines in the world in Wine Spectator. The Artesa wines I tasted recently certainly seemed to be made with love, not to mention nearly 500 years of winemaking experience and savvy. Artesa’s introductory-level (aka affordable) wines are marketed in a series called Elements. They are sort of training-wheels versions of the more vaunted Artesa wines, such as the Artisan series, limited releases and single-vineyards wines. We’ll get to those. The Element wines are a good value, however. Artesa Elements Cabernet Sauvignon ($17.99), for example, is a solid Bordeaux varietal blend with a smidgen of Syrah: a harmonious, full-bodied red wine loaded with up-front dark cherry flavors. Likewise, Artesa Elements Chardonnay ($16) has subtle oak, good balance and bright fruit flavors. But, step up a few bucks to Artesa Carneros Chardonnay ($20), and you’ll discover a Chardonnay with more richness and gorgeous aromatics. There are white flower notes on the nose, along with peach and pear flavors on the palate, combined with good minerality: a lovely wine for the price. 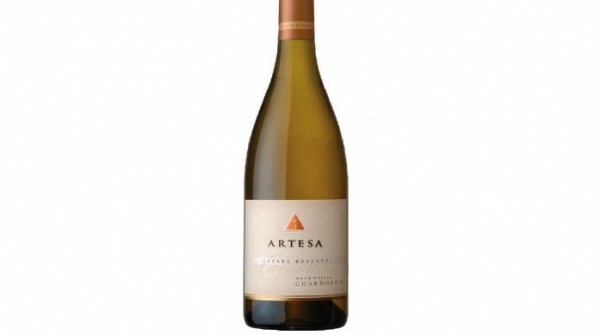 Bump the budget up another $10 and it’ll afford you a chance to sip Artesa Carneros Estate Reserve Chardonnay ($29.99). The long growing season of the 2010 vintage, in particular, resulted in a complex wine with a lingering finish—one you may want to drink now, but is very well-structured and will get even better with aging. Simply put: This is a beautiful rendition of California Chardonnay. It was outstanding paired recently at our house with boneless chicken breasts in a tarragon cream sauce. Even so, I actually like the red wines from Artesa even more than the whites, which I like a lot. The 2009 Carneros Pinot Noir ($25) from Artesa is bright and fruity—a classic Pinot Noir that was a surprisingly good partner to a fabulous Meyer Natural Angus beef steak I enjoyed recently at Log Haven restaurant. A real treat is 2009 Artisan Series Cabernet Sauvignon Napa Valley ($46), a blend of 93 percent Cabernet Sauvignon, 4 percent Merlot and 3 percent Petit Verdot. This is a young wine, but fruit-forward, with fairly firm tannins and good acidity. The small amount of Petit Verdot lends the wine complexity, while the splash of Merlot adds to the silky body and texture. I urge you to track down a bottle or two of Artesa’s artfully made artisan wines.